Margaret Mitchell started writing “Gone with the Wind” while stuck in bed with a broken ankle. The story goes that she balanced a typewriter on her knees and got to work. She wrote on and off for ten years, creating scenes as they came to her. Scarlett O’Hara, Rhett Butler, and Tara came to life in this novel about the Civil War and Reconstruction. When she was done, the 1,000 page manuscript was typed, handwritten, and scrawled on the back of assorted household lists. She had it hidden in envelopes scattered throughout the house. By time she got home, she panicked and telegrammed Latham, “Have changed my mind. Send manuscript back.” But it was too late, Latham read enough to know it would be a bestseller. 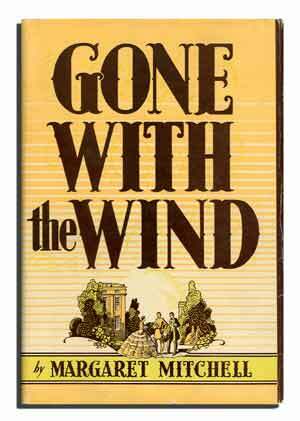 “Gone With the Wind” was published on June 30, 1936, and sold half a million copies in the first six months. It was awarded the Pulitzer Prize in 1937, and the blockbuster movie premiered on today’s date, December 15 in 1939, at Loew’s Grand Theatre in Atlanta. It is one of the most beloved novels of all time, selling more than 30 million copies in 25 languages. The film became the highest-grossing film in Hollywood history and received a record-breaking ten Academy Awards. Pretty good for a “silly” housewife.